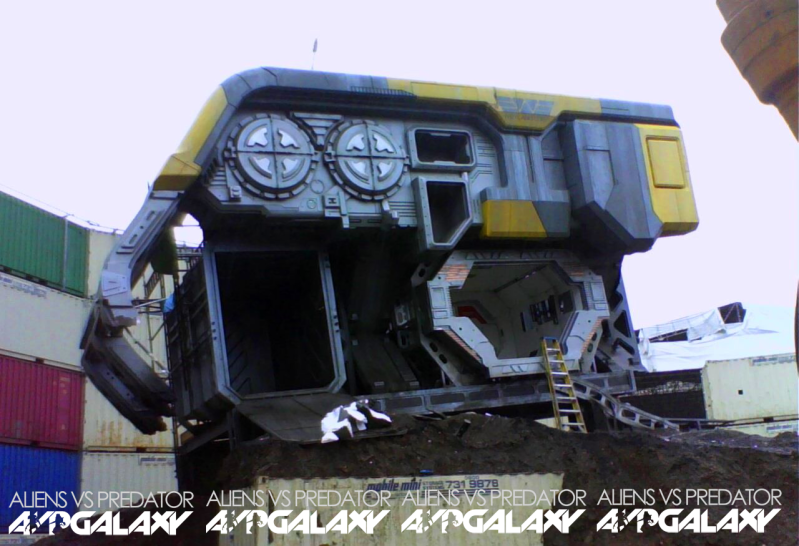 New Set Images from Ridley Scott's 'PROMETHEUS' Will Blow Your Mind, Maybe! 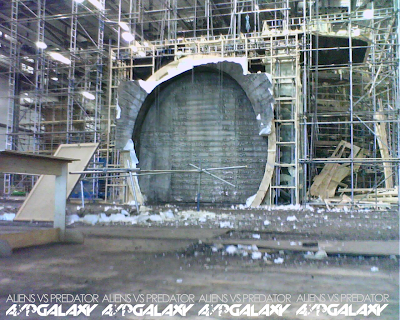 On those AVPGalaxy boys, where would they be without watermarks? 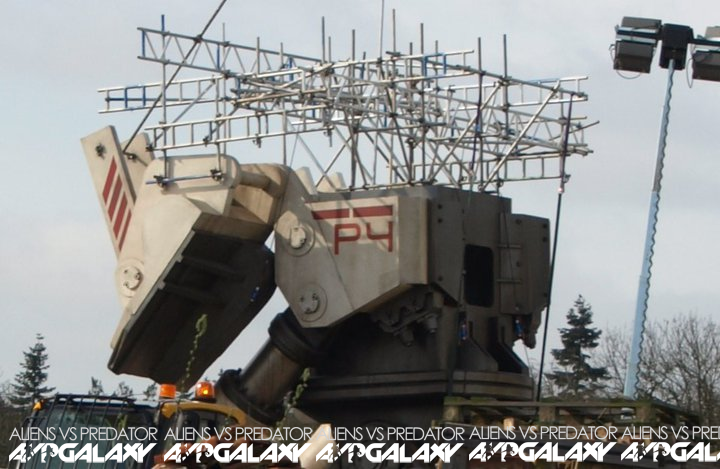 Some new Set Images have emerged online, covertly snapped from Ridley Scott's Prometheus set at Pinewood Studios which was demolished in July. The images are quite spoilerish so be warned before hitting the jump as they further display the tech design we were presented with in Alien . As Chris at AlienPrequelNews pointed out a faintly familiar logo can be found in one of the images. 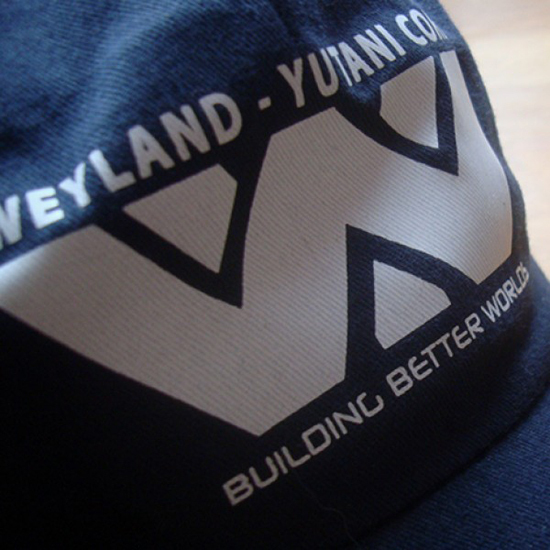 F**k Wally find Yutani. Prometheus stars Noomi Rapace, Michael Fassbender, Charlize Theron, Idris Elba, Sean Harris, Kate Dickie, Guy Pearce, Rafe Spall & Logan Marshall-Green. The movie hits theaters June 8th 2012. Scripted by Damon Lindelof, Jon Spaihts & Ridley Scott. I'm reading: New Set Images from Ridley Scott's 'PROMETHEUS' Will Blow Your Mind, Maybe!Tweet this!